We at Monocacy Cemetery strive to maintain the tranquil, beautiful place that it has become. 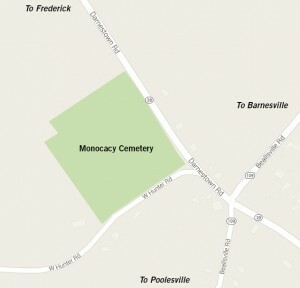 It is an active cemetery — steeped in history and a valuable asset to the Upper Montgomery County community. Our Board of Directors and caretakers are passionate about this cemetery and will continue to provide the necessary care to enhance the grounds and create a peaceful experience to our visitors. To care for this property, we appeal to your financial generosity. Please consider making a tax-deductible donation.